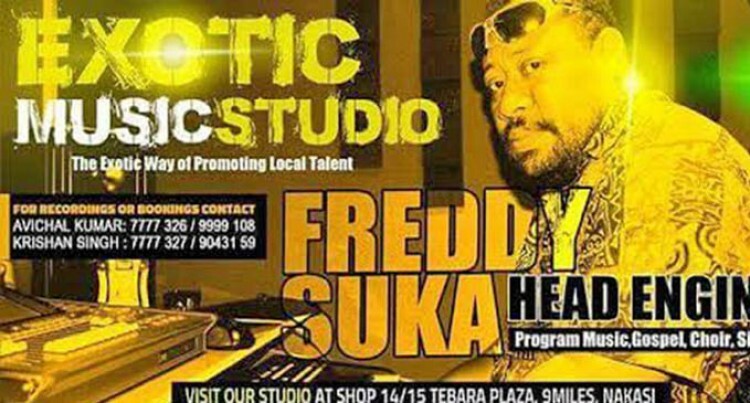 Since their establishment in 2015, Exotic Music Fiji has recorded over 250 artists in Fiji and abroad. Exotic Music Fiji general manager, Avichal Kumar said their main focus of setting-up a studio was to support local artists and to revive local music. Mr Kumar came up with the idea of recording and formed a recording team now known as the Music Team commonly known as Team EMF. One of the challenges the team face is that when artists come to the studio it is hard to cater for everybody’s needs. “Some artists come from the interior villages and doing music is a source of income so we really try our best to help them all,” he said. Mr Kumar said negotiating recording costs with artists is one of their main priority in order for them to record at an affordable price with promotion and marketing of albums as well. Exotic Music Fiji specialises with i-Taukei albums, singles, Gospels, choir, sigidrigi, live band music, Bhajans, Kirtans, Lokgeets, Qawali amongst others. The music team include Krishan Singh (DJ Krishan)-Studio Manager, Lessa Lesianawai-sound engineer and video editor, Freddy Suka-head sound engineer, Bill Kolinisau (DJ Bill)-Graphic designer, Praneel Prakash-Production Manager, Netani Waqasaqa- Production, Vimlesh Nadan-Manager Western, Suvnish Prakash-Sales, Vimlesh Nadan, and Praneel Prasad. Artists which they have recorded are; Senilagakali Kei Koroilagi, Leba Boi Yawa, Jale Mareau, Peni Seniyasi, Kabu Ni Deali Kade, Lesaa, Elena Baravilala, Avinesh Chand, Shalen Parasad Pinky, and DJ Praneel. The studio will be releasing two major albums this Easter with renowned Gospel band, Dokidoki Gospel and New Covenant. The studio is based at the Tebara Plaza in Nakasi and is a sister company of Exotic Fiji Limited which has 29 branches across Fiji. Mr Kumar is calling on any artist or bands out there wishing to record to contact them on their Facebook page Exotic Fiji Ltd/ Exotic Music Fiji or on 3410300..